Marine weather plays an important part in the enjoyment of a boating trip. Often local marine weather forecasts are unreliable. Why not put PredictWind’s Free Forecasts to the test on your next trip? PredictWind will help make your trip faster, safer and more comfortable. Often local marine forecasts are conservative and report the expected maximum wind speed over a large region. With a PredictWind forecast map you can see the whole region, and know exactly where to expect the areas of high wind speed to help plan your trip. Make your next trip more pleasant and more successful with PredictWind’s incredibly accurate power boating weather forecasts. 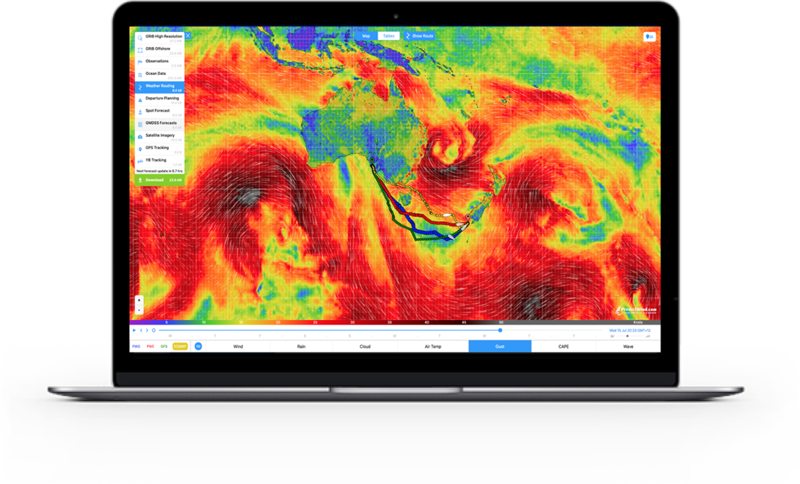 The PredictWind Basic Package is great entry level package for those not venturing too far from home, but want the most accurate marine weather forecast available. The wind speed and direction graphs utilise the most accurate 1km resolution wind forecast, and although you cannot see the 1km resolution maps, you can view the general weather situation with the 8km resolution maps. You can also access this boating forecast information in text format on your mobile phone at no extra charge. PredictWind’s Standard Package is suited for coastal trips, where you want to see how the weather pattern will vary over the whole area. How close are the strong wind areas? Where are the best places for anchorages and shelter? Where are the best overnight anchorages? What is the best course and time to depart? You will be surprised at how viewing a power boating forecast wind map will help you plan the trip with confidence. Use the Free Offshore App to automatically download and View the PredictWind GRIB files. 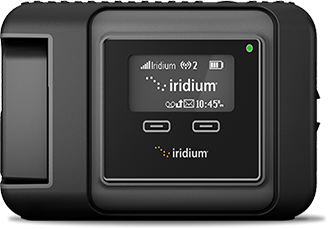 This tool is ideally suited for retrieving the forecasts over Satellite & SSB communications and will ensure you always have access to the forecast when there is no internet connection available. In addition get access to weather routing, GMDSS text forecasts and Satellite Imagery. You will have also have access to the PredictWind Android iPhone/iPad Apps, so you can get the latest text forecast on your mobile at no extra charge even if you don’t have access to your computer. The Professional Package now includes the world’s first online weather routing. Watch the video on Weather Routing. Simply drag the start and end waypoints on the map, and the PredictWind server will plan the fastest route or the most comfortable route for your boat using the high resolution 1km-8km wind forecasts. The comfort route allows you to avoid motoring in strong wind and wave conditions. You decide your tolerance level, and the PredictWind routing algorithm will avoid these regions in the forecast if possible. You simply need to define your boats’ polar and the optimal path is calculated for both PredictWind forecasts, the NOAA GFS forecast, and the Canadian CMC forecasts. The routing algorithm is also clever enough to avoid the land, right down to a 20m resolution level. So now you can can accurately see your optimal route and know exactly what conditions you can expect along the trip. What is the best day for depart on your next coastal passage? Watch the video on Departure Planning. You will be spanning different weather patterns, and this powerful tool will quickly summarize the wind conditions you will receive if you left on Day1, Day2, Day3, or Day4. Simply drag the start and destination waypoints on the map, the weather routing algorithm will calculate the fastest route (avoiding the land) and summarize the wind forecast data for the next 4 days of departure. The Standard Package is suited for coastal power boating. PredictWind can provide a 14 day marine forecast using the 50km resolution model for any region in the world. When offshore and away from land effects, it is not necessary to get a high resolution forecast. However you can be assured to get the best forecast available using the same technology that is used to generate the high resolution forecasts. The reduced smoothing in PredictWind’s weather model you will allow you to see wind features that are not picked up by other weather models. In addition we use two data sources for the weather model, to produce dual forecasts for comparison. The closer the wind forecasts, the more confidence you can have in the accuracy for your comfort and safety. The Professional Package now includes the world’s first online weather routing. Watch the video on Weather Routing. Simply drag the start and end waypoints on the map, and the PredictWind server will calculate the fastest route or the most comfortable route for your boat using the high resolution 1km-8km or 50km resolution wind forecasts. The comfortable route allows you to avoid motoring in strong winds or large swells. You decide your tolerance level, and the PredictWind routing algorthim will do its best to avoid these areas. You simply need to define your boats’ polar and the optimal path is calculated for both PredictWind forecasts, the NOAA GFS forecast and the Canadian CMC forecasts. The routing algorithm is also clever enough to avoid the land, right down to a 20m resolution level. So now you can can accurately see your optimal route for coastal cruising – for Comfort or for Speed. What is the best day for depart on your next offshore passage? Watch the video on Departure Planning. You will be spanning different weather patterns, and this powerful tool will quickly summarize the wind conditions you will receive if you left on Day1, Day2, Day3, or Day4. Simply drag the start and destination waypoints on the map, the weather routing algorithm will calculate the fastest route (avoiding the land) and summarize the wind forecast data for the next 4 days of departure. The Professional Package is suited for offshore passage making. As a former yacht racing navigator for 35 years, the process of obtaining precise wind information has always been at the core of my planning and execution, of course. Now, as a professional Captain aboard large motor yachts, I am often frustrated with the minimal wind information available in the wheelhouse. Mast Head Units are typically mounted between two communication domes or radar scanners, for example! Sure, on a motor yacht at sea we don’t need to know subtle wind shifts, but it is still extremely important to me to know wind speed and direction as accurately as possible, especially on a black night. I have always planned my passages using the usual Internet sites for GRIBS and buoy data, but now with PredictWind.com, I have for the first time the ability to view High Resolution Local information accessible during the voyage. Do I continue down the Rhumb Line or should I close with the beach because a hard offshore is predicted at 0200? With PredictWind.com these decisions are now much easier! It’s almost like having a new wind instrument on the bridge! Owner of Horizon Navigation, a yacht and commercial vessel delivery service, Robbie Wallace has accumulated more than 370,000 miles of offshore experience. He currently holds a US 1600 ton Masters license for Motor or Sail, All Oceans, with associated endorsements and STCW95. Also an acclaimed navigator on racing yachts Robbie has sailed 13 Transpacs from 1975 to 2007 including navigating aboard Andrews Turbo 70 Victoria, Andrews Turbo 70 Magnitude, SC 70 Mongoose, Petersen 68 Cheetah, the Transpac 52 J-Bird III, Andrews 56 Medicine Man SC70 Skylark and Kernan 70 Peligroso. I have been fizz boating for forty years and have a healthy respect for the sea and variable conditions. My main concern is always the weather, not the temperature or rain just the wind. My minimum planning speed is 25 knots I don’t want to be caught out in strong wind and wave conditions with 4 tons bouncing out of the water. I am now using PredictWind as my main source of information before every trip and have been impressed with the high percentage of accuracy.